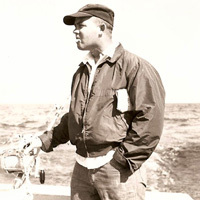 Allen Merritt and his brother Buddy dominated the Bahamas bluefin tuna fishery, credited with innovations like flying gaffs, towers, topside controls, Bimini twist knots, spliced line, and haywire twists. The two famous captains influenced the development of other great captains like George Staros, Gary Stuve and Ed and Cookie Murray. Owner/operators of Merritt Boat and Engine Works, the Merritt family designed and built the Merritt 37-- widely considered to be the best tuna boat of all time. The Merritts continue as major influencers on other boat builders around the world.